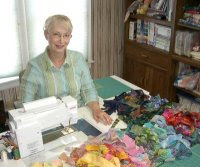 Elsie M. Campbell and Aunt Mimi's Quiltworks: Busy, but lovin' it! I've kept very busy over the past couple of weeks. 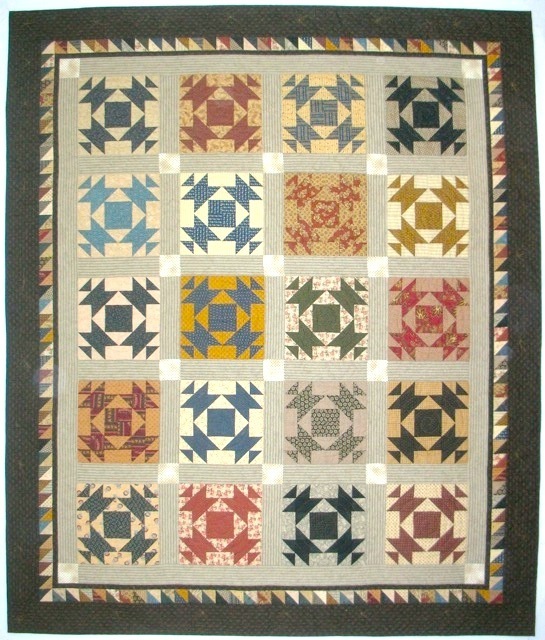 First, I'm still working on the quilts highlighted in the previous two blogs. The apple core charm quilt is proving to be a huge challenge, taking much, much more time than I first anticipated. For one thing, curved piecing of so many small pieces is not easy. For another, I'm not really liking the block setting at all, so I'm still working on it. Then, my temporary flannel-backed table cloth design wall released from the kitchen wall sometime during the night, and fell on the floor, completely covering the kitties' litter box. So you can probably guess the rest of the story: a little misplaced cat pooh and pee made a quick laundering of several affected blocks necessary. I now have a plan to rearrange the sewing studio very soon so that I can once again have a permanent design wall. I really, really miss having one that I can depend on to stay put. This program title is the result of lots of suggestions from friends and quilters that I put together something about how I choose colors for my quilts. The fact is that I almost always start with a black and white sketch before adding color to the drawing. 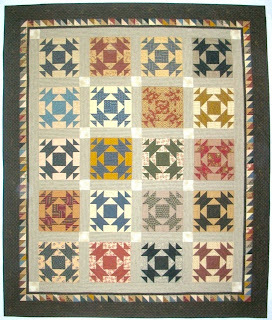 No, I do not dream up quilts in their final colors. My designs start with an interesting placement of dark, medium and light values in the blocks before I determine color placement. Sometimes, soft contrast is what I want. I will lay out of bunch of fabrics, then eliminate the lightest values and the darkest values, and use the middle values. If I want high contrast, I will eliminate the medium values. That's exactly what I did for the Ode to Jo quilt that I will be teaching Saturday March 3 at Completely Quilted Quilt Shophttp://www.completelyquilted.com/ here in Ponca City, Oklahoma with a finishing followup the evening of March 29. 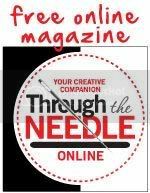 Third, I was interviewed via the internet for a teacher of the year nomination for Willow Bend Creations new online quilt expo. This event will take place March 7-10, and it's all free! You just need to register ahead of time, and then check back during those dates. There are more than 10 national teachers nominated, and each of us will be featured in our interviews, and then we will be presenting short mini-workshops. I demonstrated briefly the construction of the block for the Eggplant and Tomatoes quilt from my Squares and Triangles book. Hope you will have fun at this internet event, and report back what you liked the best about it. One of the previews up this week on You-tube features well-known teacher Cara Gulati. Fourth, there's the house. Next thing on the long list on remodeling items is the heating and cooling system. We've opted for a geothermal unit which means we are now waiting on the well drillers. Four-400 foot deep holes will be drilled in the front lawn, the driveway which we planned to replace anyway, will be pretty much destroyed in the process, and water pipes inserted in the holes and lines run through the existing air conditioning lines into the house, the AC will be replaced with the outside heat exchanger, and the inside heating unit will be replaced with a preheater for the water heater, and the auxillary heating unit, hepa filtration system and humidifier. Then the concrete people will come in, re-grade the front lawn, pour a new driveway, front entry, sidewalk to the back yard, and the new floor for the sunroom. Then the sod goes in for the front lawn, and I can begin planting my flowers and things again. Ken has promised me that the kitchen will get a new floor, and the sunroom will be finished before the summer is over. Whew! But when I think about what all we've already done, it is beginning to feel more like home. More pictures will be posted as the work progresses. I also want to remind my readers that I am still offering the Ruthie's Stars free patternhttp://www.elsiemcampbell.com/p/patterns-for-sale.html with purchase of any other item from my website from now through the end of February, so check it out! AND, I still have openings for speaking/teaching engagements for this summer and fall. Contact me if your group/guild would like to make an inquiry, and maybe we can meet in person sometime in the near future.